Henry is one of San Antonio’s biggest Spurs fan’s and also enjoy’s playing basketball on his free time as well. 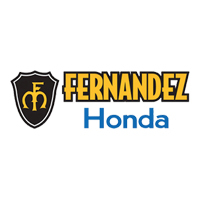 Aside from that, Henry has been a part of Fernandez Honda since 2005! He did a phenomenal job in sales helping our clients get into a new or used vehicle. 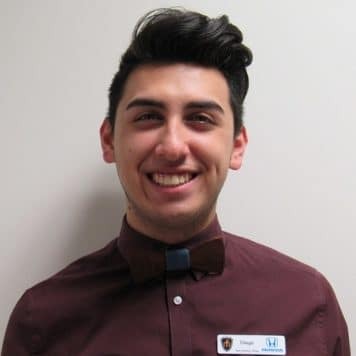 His attention to detail and dedication soon found himself in a Sales Management Position, where he now can train other salesman on how sell cars and have fun doing it! Ray was born in San Antonio and raised in Floresville. 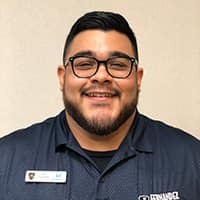 He became part of Fernandez Honda almost 8 years ago while attending Texas A&M here in town, and saw a great opportunity in a fast growing area during our grand opening. He has loved cars for as long as he can remember so he became very knowledgeable of the car industry at an early age. 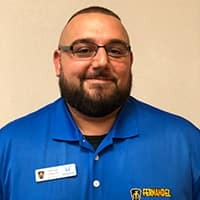 He is known in the business as a polite and courteous automotive expert and his favorite part of each day is seeing the smile on his customer’s face when he hands them the keys to their new adventure. 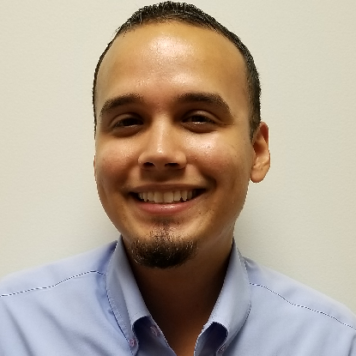 Daniel joined the Fernandez Honda team in the first year of being open and we have enjoyed his positive attitude and contagious smile ever since October of 2004. 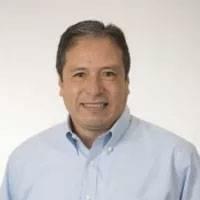 He was born in Mexico City and worked for AeroMexico Airlines for 15 years before joining our Sales team. 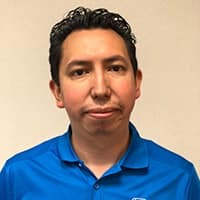 He has been a Council of Sales Leadership at the Silver level for the past 5 years and his customers are some of the most satisfied Honda clients out there. He has two children, Danny and Sara and they enjoy playing outdoors, cooking and going to the movies. You will enjoy getting to know him better while he helps you into your beautiful new car! Jeanne was born right here in San Antonio and is a Judson graduate, so needless to say, she loves her city! 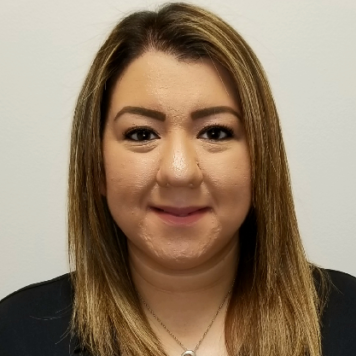 She came to Fernandez Honda with a background in Security and worked with the Department of Homeland Security before joining us as a Sales Consultant. After quickly proving that she was a Honda girl for life, she was promoted to a new position of Customer Service Specialist. After 4 years with the company Jeanne now has the pleasure to work as the Operations Analyst for Fernandez Honda! Jeanne is a mother of boys, so her free time is spent with her family. 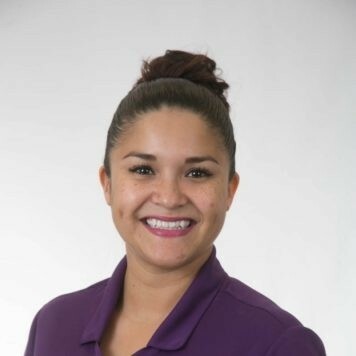 Evelyn has been with Fernandez Honda since the doors first opened in 2003. She loves talking to people and getting to know them so she has the perfect job! Evelyn was born in Colorado City, TX and finished her schooling in Big Spring. After graduating, she moved to Odessa, TX where she worked in sales for Sears Roebuck for 13 years before transitioning to her current home in Devine. 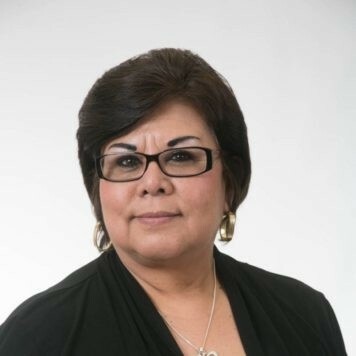 She enjoys listening to Tejano and country music, especially her favorite – Mr. George Stait, and has been a volunteer coordinator for the Tejano Music Awards for the past 5 years. Evelyn is known for having a huge heart and loves to do volunteer work. One of the causes nearest and dearest is her committee work for non-profit organization Xani Xanadu’s Rancho Bonito working to build a VFW for all of the Veterans living in Natalia so that our retired forces can have a nice place to go where they are appreciated for their service to our beautiful country. 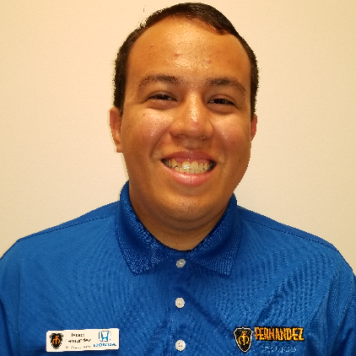 Ruben has always loved helping people, so when he had the opportunity to join the winning Sales team here at Fernandez Honda he knew that his desire to treat people with courtesy and respect would come in handy on his way to become a Gold level Sales Consultant extraordinaire! 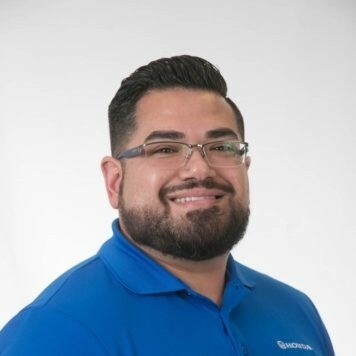 As an avid fan of modern technology he fits in perfect with the Honda brand and with his love of the Spurs he fits in perfectly with the rest of the team here at Fernandez! When he is not here he can be found admiring and creating art inspired by our beautiful city. 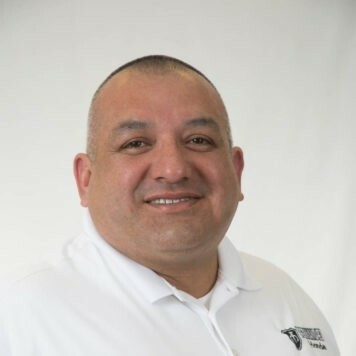 Jaime came to Fernandez Honda through a recommendation by a close friend and has been with us for the past 8 years; previously he owned and operated Almanza’s Meat Market. He is known for giving 101% towards his profession and loves making his customers happy. In his free time he is an avid soccer fan and enjoys not only playing, but teaching children to play the sport as well. You’ll often hear him saying one of his favorite phrases, “Nothing is impossible in this life”. George is a San Antonio Native, lets say he loves his city!! In fact it’s where he wanted to raise his 5 children. On his free time he enjoys catching a Cowboys game or even playing a game of pool. He originally came from working for a medical collections agency for 9 years. He then decided it was time for change and has transitioned perfectly in the automotive industry. His customer service skills make it an enjoyable and memorable experience when purchasing a vehicle! He definitely goes above and beyond to ensure you are happy leaving with exactly what you want! 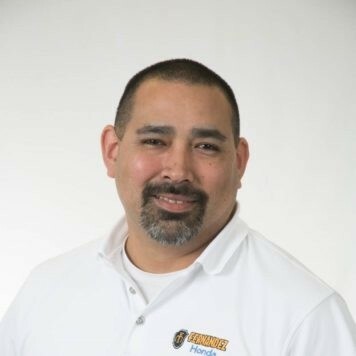 Come see George today for your New or Pre-owned vehicle! 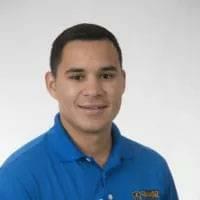 Joe is a true Texan who graduated from Texas A&M with a Bachelors of Science in Genetics degree and was part of the Phi Kappa Theta fraternity during his time there so he “bleeds Maroon”. He comes to us with a life long interest in vehicles and how they work and is ready to pass that knowledge on to his customers. He draws inspiration from his family, who help him to be the best he can be every single day, and hopes that your family will also inspire you….to get into your new dream car today! Julian was raised in Lytle, Texas and came to San Antonio where he began to establish himself after his attempt at modeling. He happens to have an extensive baseball card and stamp collection that he would like to pass on down to his daughter one day, worth a couple thousand dollars. Julian is also a huge College basketball fan and during football season he makes it a point to watch every Denver Broncos game. 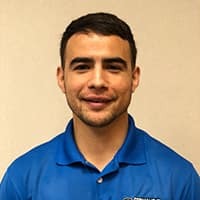 He came to Fernandez Honda and broke out of his shell when joining our sales team. 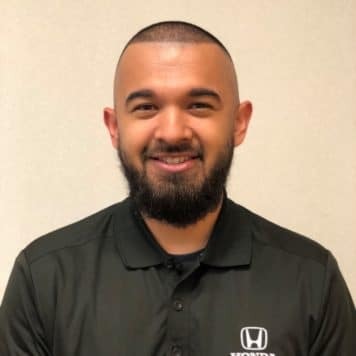 He is very knowledgeable in the Honda product and is always providing our clients with everything they need to know about purchasing their next vehicle. Margie has a passion helping clients get exactly want they want and need as well as exceeding their expectations! She started in the aviation industry making a name for herself and proving that she can do the job. She soon became part of the car industry and landed her position with Fernandez Honda. Her customer service skills along with product knowledge will leave you feeling like you made the perfect choice in upgrading your current vehicle. On her spare time she enjoys spending time with her children teaching and watching them grow. If you have any questions regarding the value of your car come and see Margie! Jessie originally from Eagle Pass came to San Antonio driven to make something of himself. 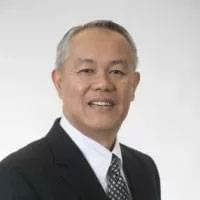 He came into the automotive industry a year ago and has had successful career selling Honda’s! His true passion for sales sets him apart. He makes it his personal duty to make sure every customer leaves here happy driving a Fernandez Honda vehicle! 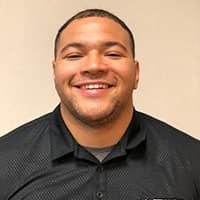 When he isn’t working he enjoys to watch football and likes to keep active in the gym. Born and raised right here in San Antonio. Wanted a change in life and decided to sell Honda’s. He has done an outstanding job in our Sales Department and is eager to move up in the business. For fun he loves to restore Volkswagen beetles from the ground up. He likes to make them his own and enjoys figuring out all the components in making something old new again. Jimmie comes from a background in having experience as a mechanic. He soon wanted to be a part of the Fernandez Honda family. He loves to travel, and just so happens to be a car enthusiast. He never misses a beat with providing exceptional customer service to our clients. Most importantly he loves to spend time with his fiance and is expecting his first child. Born and raised here in San Antonio, Israel is one who loves his city! He worked for HEB for 2 1/2 years and gained so much customer service which has really made an impression here in the automotive industry. On his free time he enjoys engaging in gaming tournaments, comic books and movies. He also likes to karaoke with friends and family. His outgoing personality makes it easy to build a relationship with our clients. Come see Israel today for your first or next vehicle! 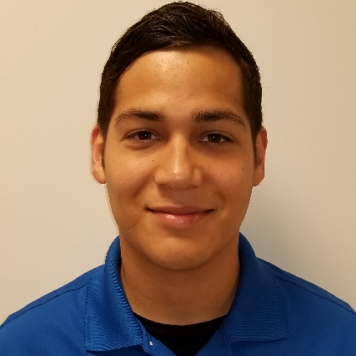 Diego graduated from Pleasanton Texas and began building his skills with customer service and numbers working at bank for about a year and a half. He decided helping others was something he really enjoyed doing, so why not try the car business. On his free time he values time spent with his family and enjoys the simple pleasures in life. 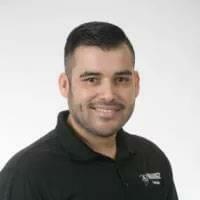 Come see Diego for your New or Pre-owned vehicle today! Porter and after about a year he began to sell cars as well. 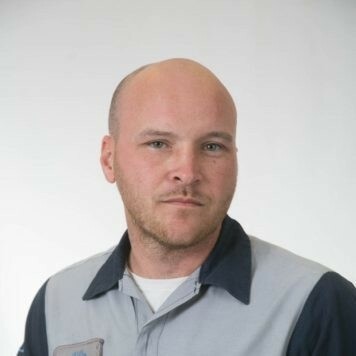 His dedication to the team got him his promotion as one of our very own Service Advisor’s . He enjoys a healthy lifestyle and you can always catch him at the gym or on the football field. J.C. originally from Florida, came to San Antonio with great ambition. He has been in the automotive industry since he was 18 years old! 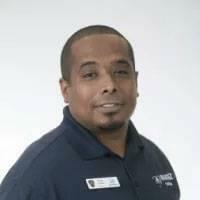 He has been with the Fernandez Honda team working as a porter and now works on our exceptional service drive. On his spare time he enjoys playing softball and going to the batting cages. Most of all, he is a dedicated father to two beautiful little girls. 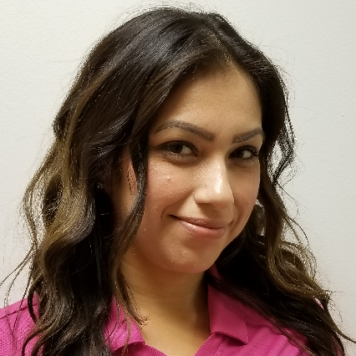 Vanessa is a San Antonio native who acts as our fantastic Inventory and Warranty Specialist. She helps service our used car inventory, set up accessory appointments, and much more! In her free time she loves spending time with her family. Vanessa has a huge heart and loves to make those closest to her happy. She is a devoted worker and mother of 3 beautiful girls. Head of our Fernandez Honda State of the Art Service Department. 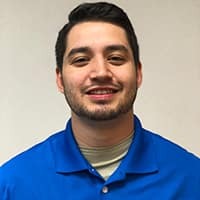 Billy is a Honda Certified Master Technician who overlooks all the technicians and answers any questions customers may have regarding their vehicle. He enjoys the outdoors, fishing and hunting. He is also a wonderful father to a growing boy. 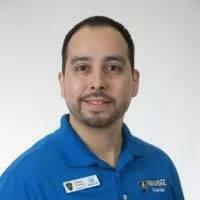 Javier was born and raised right here in San Antonio and worked for several Auto Parts stores around town before coming to work for Honda in 2003. He enjoys that fact that he can sell genuine products now with a name that is associated with quality, and he can find even the most obscure part with his skills! When he isn’t here at the Fernandez Honda Parts counter he likes to be outdoors and spending time with my family. He is also known in these parts for his masterful art in arranging our storage area. Javier is ready to find that part you’ve been needing today! 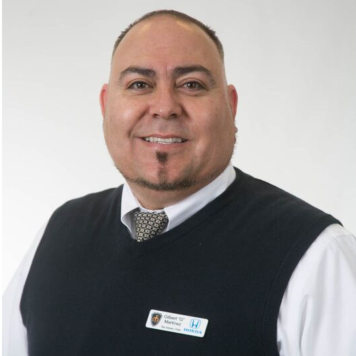 Don joined the Fernandez Honda team in 2014 with over 10 years of experience in the automotive industry. He was originally hired as a Finance Manager but with his hard work and determination he made his way up to Finance Director. Don now manages the best Finance team in San Antonio! His favorite part of the day is seeing the smile on a customer’s face when they drive out in their dream car. In his spare time, Don enjoys going outdoors, watching movies, and spending time with his wife and son. 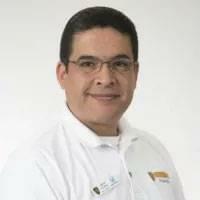 Gilbert Martinez has been in the car business for over 20 years and is great at what he does. 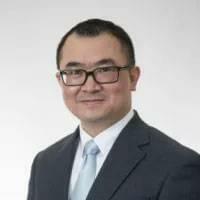 He is awesome at connecting with our client’s and building long lasting friendships. He is dedicated to the business and makes it his duty to make sure that you leave here happy! He is a San Antonio native and loves his city. You can catch him firing up the grill and putting on a game. Come see Gilbert for your next purchase!